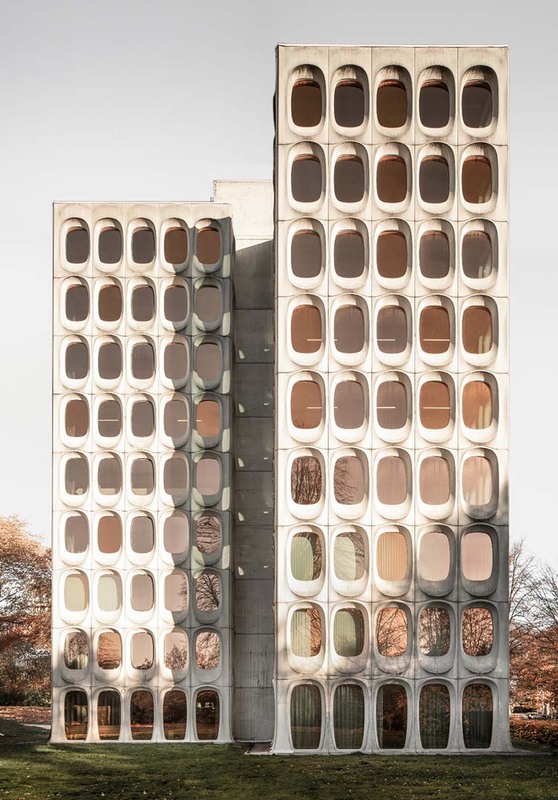 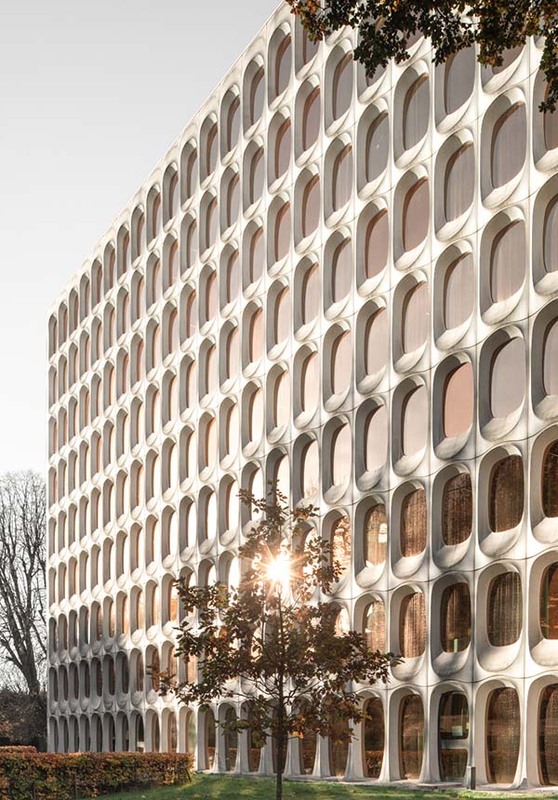 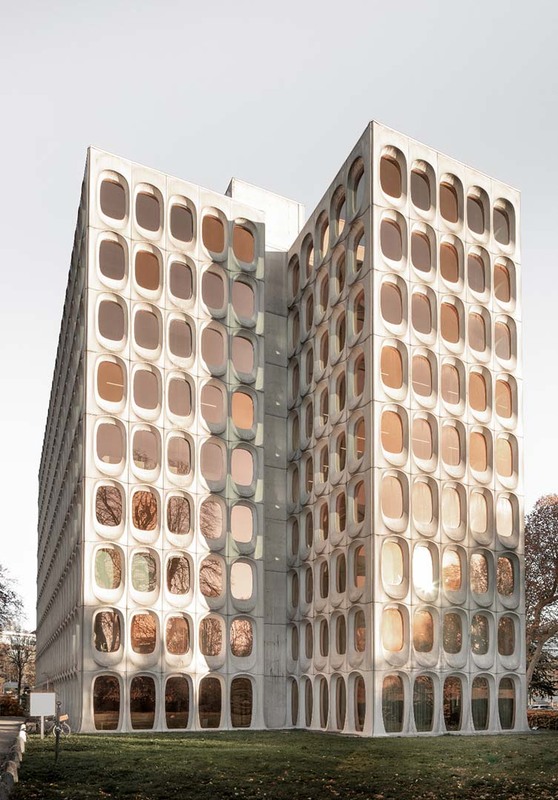 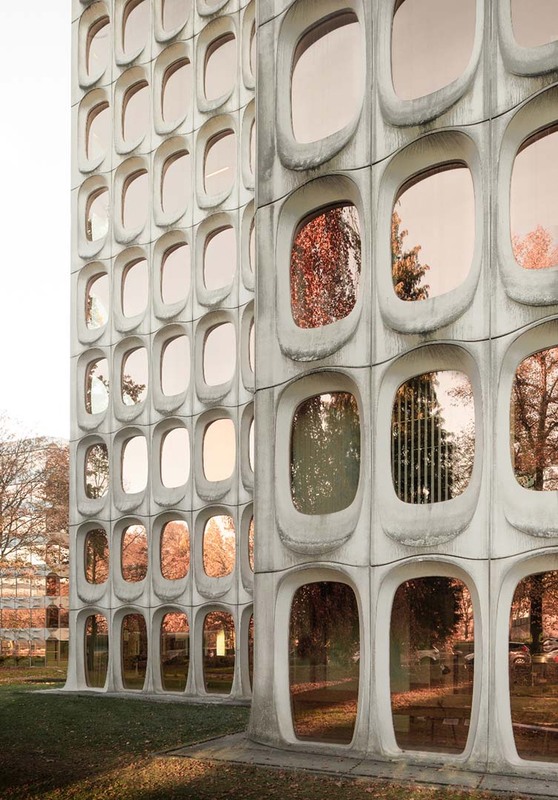 Designed by post-war architect Constantin Brodzki for cement company CBR in the late 1960s, the awkward allure of this building with a façade made from 756 prefab convex oval concrete modules is today home to “Belgium’s finest office”—Fosbury & Sons founders Stijn Geeraets, Maarten Van Gool, and Serge Hannecart having acquired the brutalist beauty for their first foray into Brussels having (as is easily the case) fallen in love with the emotive structure at first sight. 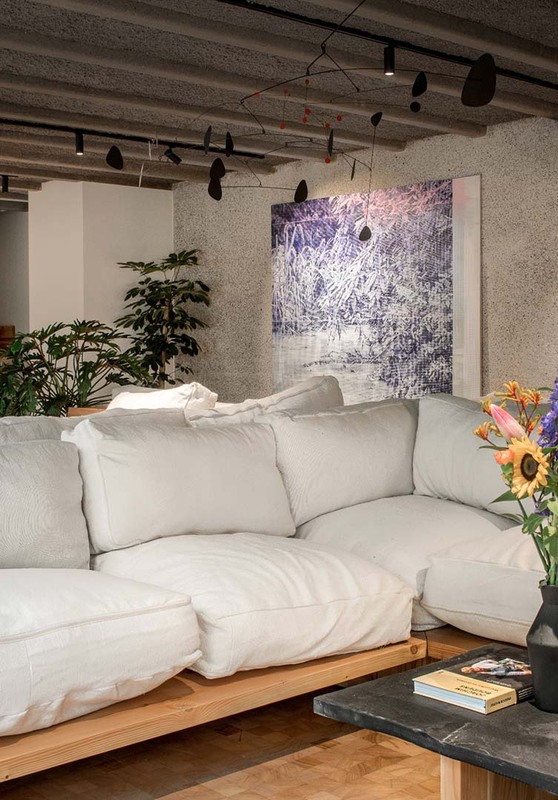 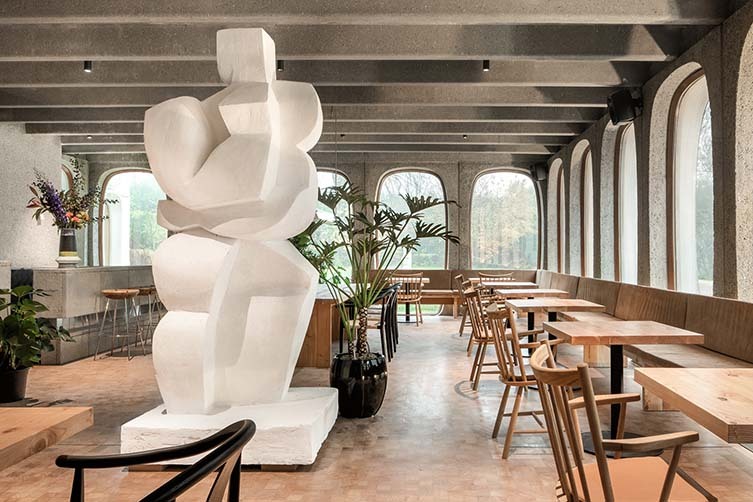 “The character of the building, its history, its exceptional architecture, the spirit of the age in which it was built … It just fit,” explains Stijn Geeraets. 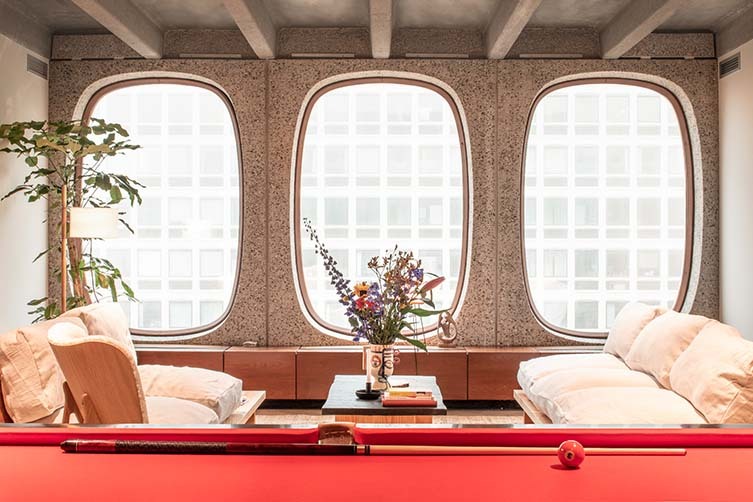 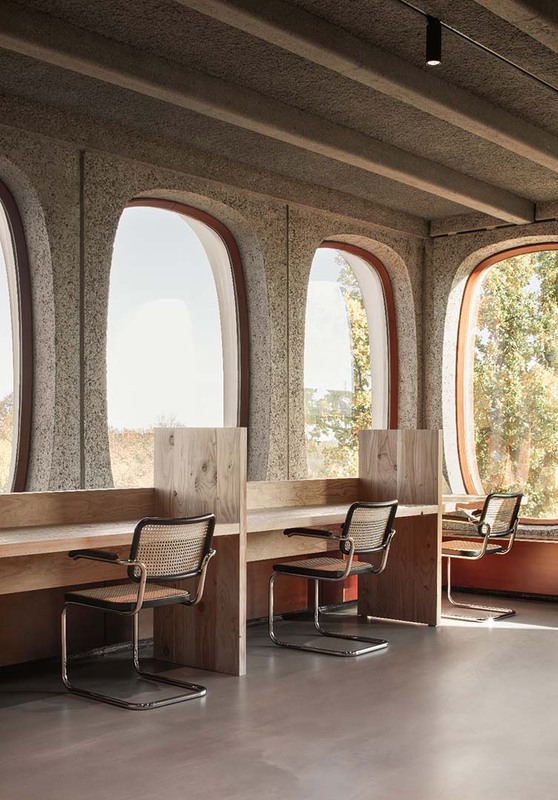 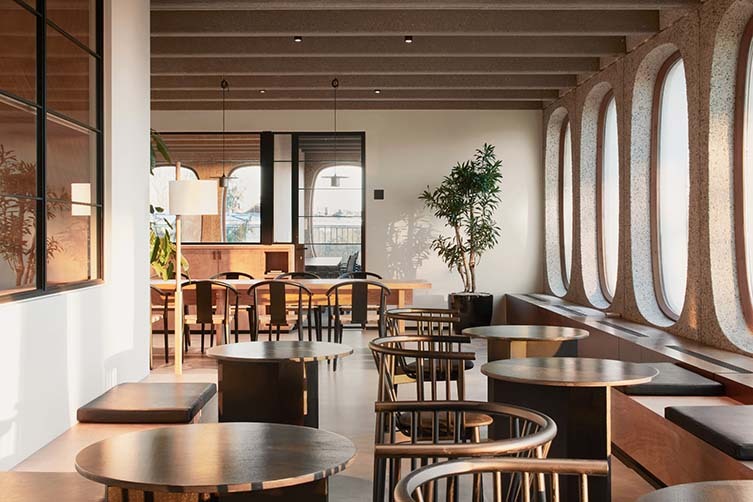 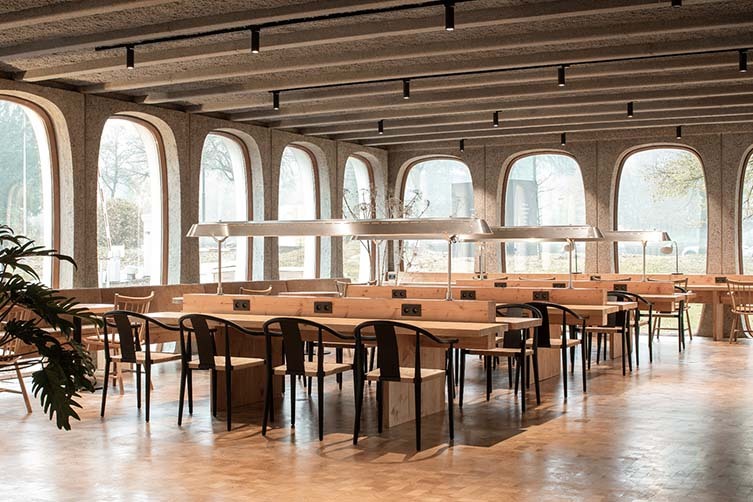 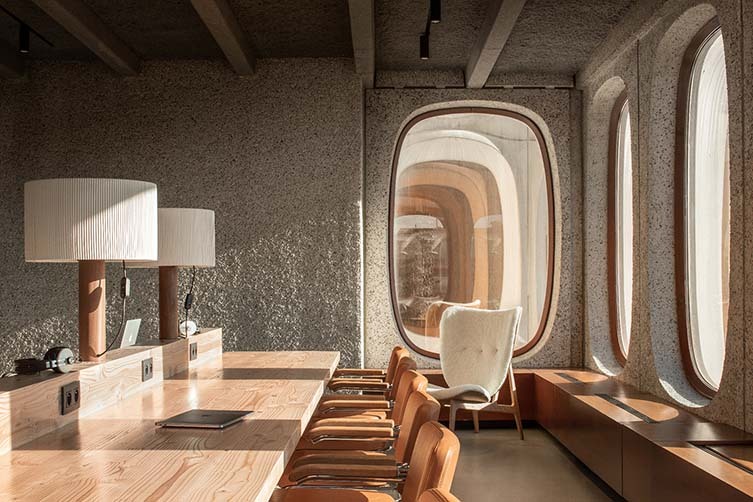 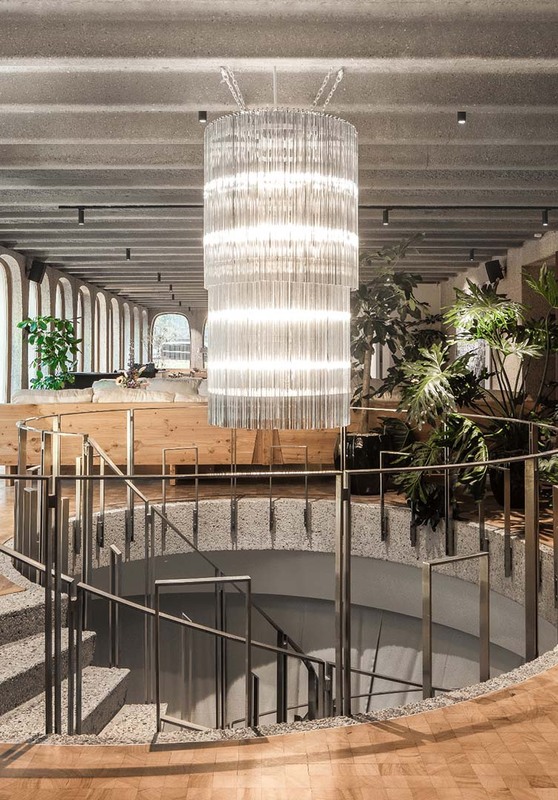 Following the success of the trio’s first outpost in the WATT Tower, Antwerp, Fosbury & Sons’ second coworking venue is just 10 minutes away from Avenue Louise—close to the 10,920-acre Sonian Forest—and is split over seven of the icon’s nine floors, occupying an impressive 7,000 square metres of a building that kicked off a whole new wave in Belgian architecture; earning Brodzki an inclusion in the Transformations in Modern Architecture 1960-1980 exhibition at New York’s Museum of Modern Art. 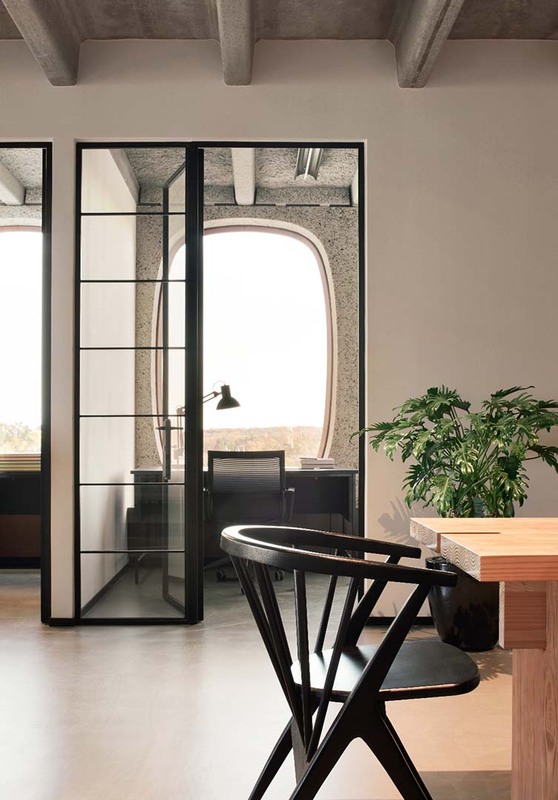 With capacity for 600 people, 250 companies, and a vision to revive the concept of ‘work’—whilst encouraging and fostering collaborations between its coworkers—Fosbury & Sons Boitsfort seeks to meet the needs of today’s employees, freelancers and entrepreneurs, providing them with inspired, innovative surroundings, and oodles of drop-dead design eye candy. 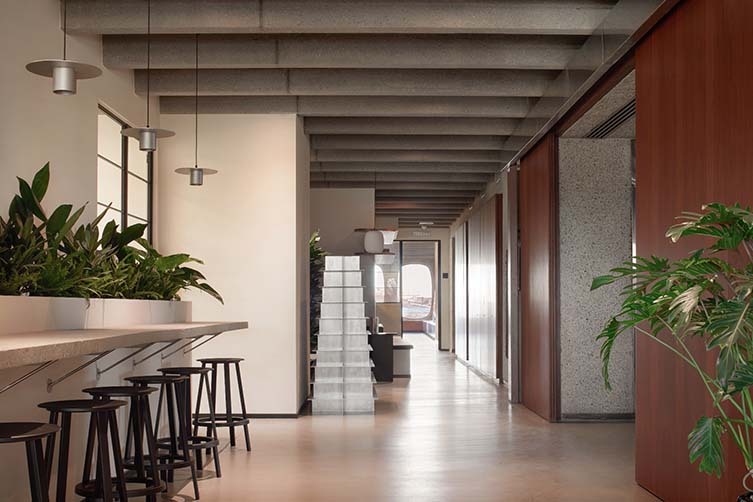 Design agency Going East have created a mature and warm aesthetic that tempers the stark internal brutalism with some seriously luxury interiors; whilst care has been given to ensure that existing structures and the overall identity of the building remain dominant. 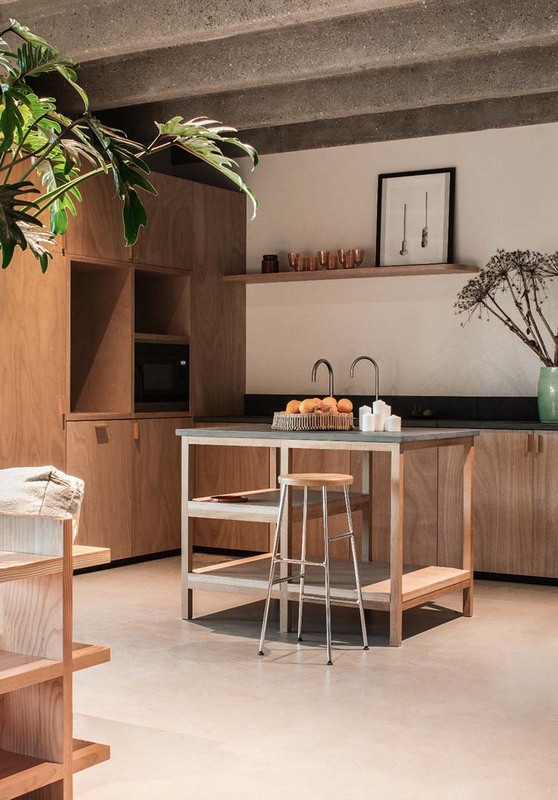 Members can access a range of vibrant, homemade healthy plates prepared with love by Antwerp coffee aficionados Coffeelabs, who’ll also be serving their own house blend coffee and fresh juices to keep the creative minds fed and the ideas flowing. 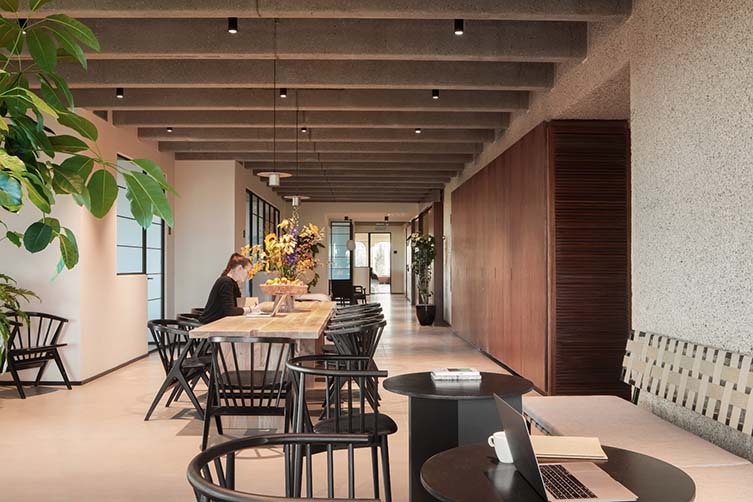 The office is dead, long live the office.